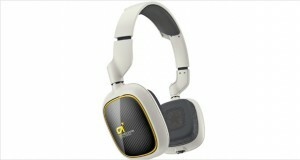 Designed to cater to an array of customers, Audio-Technica brings to the market a range of devices. From noise-cancelling headphones to high performance ones, Audio-Technica has it all. Coupled with an edgy fashion sense that does not compromise on comfort, the headphones make the best of both worlds. The Audio-Technica ATH-ANC7B Headphones are as compact as they get. 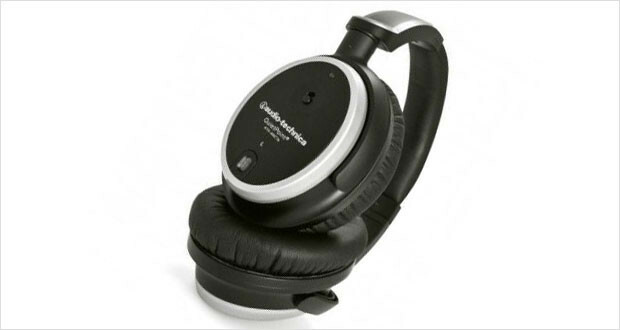 Whether in the office or while travelling, these fold-flat headphones ensure easy travel and storage. Ideal for music systems, ipods, and in-flight entertainment systems, the circumaural Audio-Technica ATH-ANC7B Headphones offer high resolution sound with detailed clarity across the spectrum of frequencies. They have active noise cancellation that competes in reducing ambient noise to an extent as offered by the higher-end products from Bose. Indeed, the headphones maybe said to be some of the midrange best noise-cancelling headphones in the market. The battery compartment is integrated beneath the right earpiece, such that no external modules are required. They function even in passive mode (without the batteries). Elegant and clean, theAudio-Technica ATH-ANC7B Headphones are circumaural headphones with general cushioning on the soft-leather earcups. The build is compact, with integrated circuitry so as to avoid external modules. Two detachable and thick cables of different lengths allow flexibility of use. Dimensions8.2 x 2.5 x 11"
Construction is not very solid; the plastic bracket holding the earpieces tend to break because of the brittleness of the plastics. Soft, self-moulding cushions of the earcups offer a snug answer to ambient noise problems. Treble is bright and crisp but may appear slightly harsh to some ears. Mid-range is open and natural. The product boats of circuitry that reduces ambient noise upto 90%, thereby providing satisfactory sonic solitude. Overall performance is satisfactory, with low levels of distortion even at high volumes. Sound is detailed with considerable separation and transparency. 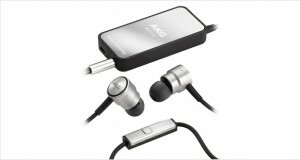 The Audio-Technica ATH-ANC7B Headphones boasts of circuitry that reduces ambient sound to a minimum. 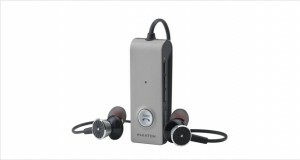 The high sensitivity ratings of 109dB enable the device to play at satisfactory volumes even from low powered sources. Product fabrication, however, leaves much to be desired. Engineering is poor and materials are cheap. As a result, the plastic parts tend to break off, even after careful handling.